2015-07-30 00:00:00 2015-07-30 00:00:00 https://quickbooks.intuit.com/ca/resources/security/should-i-consider-data-encryption-for-my-business Security English Learn how data encryption makes your business and its customers safer. https://quickbooks.intuit.com/ca/resources/ca_qrc/uploads/2017/03/IT-Personnel-Demonstrates-How-To-Encrypt-Sensitive-Files-To-The-Head-Of-Accounting.jpg https://quickbooks.intuit.com/ca/resources/security/should-i-consider-data-encryption-for-my-business/ Should I Consider Data Encryption for My Business? Should I Consider Data Encryption for My Business? Not too long ago, companies used to keep their records in paper ledgers and communicate via snail mail and phone calls. The only way you’d get “hacked” is if someone physically plucked files from your records room. Nowadays, every business works with data in one form or another. Everyone has email. Customer information is kept on computers. Product blueprints and designs are kept on servers. This is all important company information, and it’s all at risk. “In the world of hyper-connectivity your data is exposed over the Internet in all kinds of ways,” says Adam Evans, Director of Product Management for BlackBerry. If your company’s data is accessed by the wrong kind of people, you or your customers could lose big. Just ask Starbucks, whose customers lost thousands of dollars to hacked Starbucks mobile app user accounts. In addition to sensible IT policies, data encryption can be an effective way to protect against unauthorized access while still making it available for its intended purpose. Encryption converts any sort of data into a form that cannot be understood by unauthorized users. The only way you can read or access this data is by possessing the key or password that decrypts it and converts it into its original form. There are many commercially-available programs that encrypt and decrypt data on your behalf, as long as you possess the right permissions. As in the Starbucks example, there can be serious consequences to leaving your data unencrypted. Identity theft. Hackers and cyber-criminals can use unencrypted customer financial data like credit card numbers, email addresses, and home addresses to commit identity theft and steal your customers’ money. They can even use the information to commit other crimes under a false identity. Theft of proprietary information. Corporate espionage involves stealing another company’s sales data, product information and other proprietary information in order to get an advantage. Not even sports teams are immune to this kind of criminal activity. Exposure of sensitive documents. Sensitive contracts, documents and emails are all at risk of exposure. Sony experienced this when it fell victim to having its employees’ emails scattered all over the Internet for everyone to read, and many executives wound up being embarrassed and publicly shamed for what they thought were internal conversations. Encryption helps protect your company and your customers from unscrupulous hackers. Even if they can access your data, they’re going to have to put a lot more effort into unencrypting it, which reduces how much they profit from it. And how do you define what’s “reasonable?” How much should you invest in data encryption? There are various encryption measures and resources you can tap, depending on your needs and the size of your organization. File and data encryption. There are a number of affordable programs that allow you to easily encrypt files and hard drives, like VeraCrypt, BitLocker and even WinZip. Blackberry’s Watchdox can restrict access to documents to specific people and watermark them so that, if it’s leaked, you know where the leak came from. Communications and network encryption. 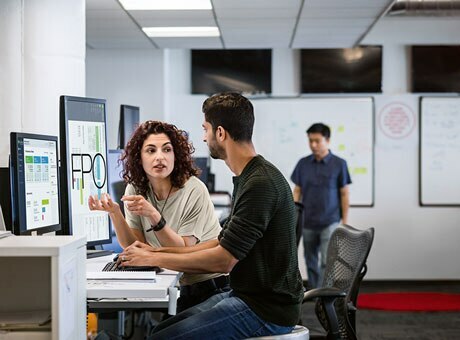 For larger organizations, companies like McAfee and Sophos provide scalable enterprise-grade encryption products and support to keep your data safe across multiple channels. Blackberry’s BES 12 helps manage and secure mobile communications, and is also available for iOS and Android. Cloud providers. Cloud service providers usually supply data encryption as part of a security package. So it’s best to ask for it any time you have the opportunity, or make sure that it’s being implemented. Learning resources. The Digital Adoption Compass (DAC) assists micro, small, and medium-size enterprises in gaining the necessary knowledge to adopt digital technologies and expand scale and scope, and has online communities that discuss trends and assist fellow business owners. Encryption is only part of the larger security scheme. You have to make it harder for intruders to access your data from any angle. “You need to have a solid IT department and have strict IT protocols in place,” says Bourgi. Consult with an expert and have them assess your needs. An experienced IT security provider will be able to give you an optimal combination of protection and price that will give you—and your customers—peace of mind. 2 Do I Need an IT Security Consultant or Manager? 5 Should I Consider Data Encryption for My Business? 6 How Secure Is My Password?